Uber and Lyft are the new on-demand transportation (or “rideshare”) companies that have revolutionized the for-hire and taxi transportation business in the last few years. Users download the Uber or Lyft app to their mobile phone and setup an account with a credit card for payment. Once setup, users can request a ride pick-up from their phone to which nearby Uber or Lyft drivers in the area respond. The apps allow riders to track the driver and process payment electronically. Lyft and Uber are relatively new companies but they have exploded in popularity over the last 5 years. My sister is in Kenya right now and she is traveling around by Uber. Lyft, Uber’s kid brother, is about to go public and make their founders and estimated $9.4 bazillion. 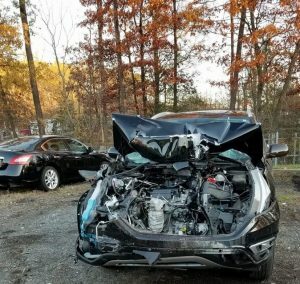 Car accidents involving Lyft or Uber drivers are becoming more and more common and these cars flood our roads. So what happens if you are injured in a car accident caused by a driver for Lyft or Uber? What if you are a passenger with an Uber or Lyft driver and you get injured in an accident? Can you bring a claim or lawsuit in Maryland against Uber or Lyft? Although drivers for both Lyft and Uber are actually independent contractors the companies still have direct liability for accidents involving their drivers and passengers in Maryland. As long as the driver is actually in the process of driving a customer (i.e., “on-duty”) when the accident occurs Uber and Lyft will accept direct responsibility. Passengers and other drivers or pedestrians involved in the accident can bring a claim and/or file a lawsuit against Uber or Lyft. Uber claims publicly that its drivers and passengers are safely protected by a comprehensive $1 million insurance policy. The reality, however, is that the $1 million coverage is only the highest level of a 3-tiered insurance policy that applies different levels depending on the Uber driver’s activity status at the time of the accident. When an Uber driver is not accepting or not available to accept passengers and driving their vehicle for personal reasons, they are “off-duty” and there is no coverage under the Uber policy. Accidents involving “off-duty” Uber drivers would be covered under the driver’s personal auto insurance policy. Passengers If the accident occurs when the Uber driver is available to accept new passengers but is not actually transporting a passenger, the driver’s personal auto insurance will provide primary coverage. However, Uber will provide contingent “excess” coverage if the driver’s personal insurance does not fully cover the damages. Transporting Passenger If the accident occurs when the Uber driver actually has a passenger in their car, then both the driver and passengers get primary coverage under Uber’s $1 million policy. On its website and app, Lyft claims to have a “first-of-its-kind” insurance plan that supposedly covers Lyft drivers “from the minute they flip into drive mode” until they drop off their last fare for the day. Again, this claim is somewhat misleading because although Lyft also has a $1 million insurance policy that coverage only applies in certain circumstances. In fact, Lyft’s insurance coverage applies on a 3-tier basis that is almost identical to Uber. Lyft drivers can turn their driver app on (to signal that they are accepting passengers) or off when they are not available to accept passengers. If the Lyft Driver App is off at the time the accident occurs everything is covered by the driver’s own personal auto insurance policy. Coverage under the Lyft policy does not apply. Driver App On The minute a Lyft driver turns the Driver App on and becomes available to accept passengers, the first tier of the Lyft coverage applies. This 2nd tier coverage is called “Contingent Liability” and it steps in if an when the driver’s own personal insurance “does not respond.” This appears to be somewhat more than Uber’s 2nd tier coverage which must be requested and will only apply after the driver’s personal policy is maxed out. Ride Accepted As soon as a Lyft driver accepts a new passenger request on the Driver App, Lyft’s $1 million policy automatically kicks in and provides primary coverage for any accident. The coverage remains active until the passenger is dropped off and the ride is complete. Car accidents are not the only source of claims and civil lawsuits against Lyft and Uber. 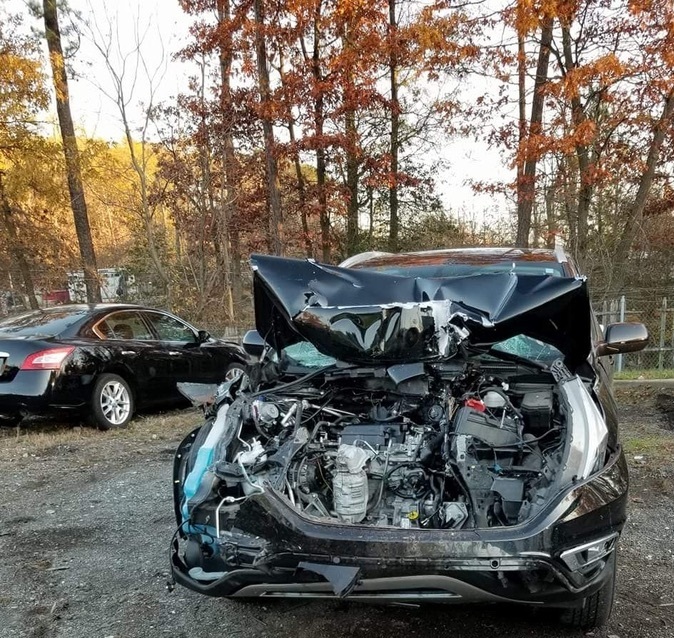 Unfortunately, drivers for both companies occasionally do bad things to passengers that result in lawsuits for torts such as assault or battery. Even though their drivers are technically independent contractors as opposed to company employees, Lyft and Uber can still be held liable for the bad acts of their drivers under several legal theories. The legal basis for these type of tort claims against Lyft and Uber is analyzed in detail in a recent opinion from the U.S. District Court in California. According to the Court these indicators of control could be more than enough for a jury to find an employment relationship between Uber and the driver. With respect to the claims for negligent hiring and supervision, Uber’s defense was that it was not negligent because there was no way it could have known that the driver posed a danger to passengers. The Court rejected this defense also because the Plaintiff alleged that Uber’s background check was inadequate as it only looked back 7 years and therefore missed a 10 year old assault conviction against the driver. The Court ruled that this was enough for a jury to find that Uber was negligent in its hiring of the driver. The decision in Doe v. Uber essentially provides a legal blueprint for bringing successful tort claims against Lyft or Uber for assaults and other bad acts by drivers against passengers. Over the last several years, stories of assaults by Uber and Lyft drivers against passengers have become a common feature in the news. Many of these cases have eventually led to civil suits based on allegations similar to those outlined in the Doe case. If you are dealing with Lyft or Uber on an accident claim, you have to understand that these guys are just making more money than we could ever imagine. The only thing that rocks the boat is bad publicity. They do not want lawsuits. I mean, they don’t want the Baltimore City Paper writing an article on page 19 about an Uber lawsuit. What does this mean? Uber and Lyft are going to pay higher than the market value for a claim. So if you are a plaintiff’s lawyer, you are selling your client short if you are fighting to get the fair value of the case. You want to get what they will give you and this mean getting them to go as high as they will (or filing a lawsuit to get them there). Whether you have a standard auto accident claim or a major assault and battery case, going after Lyft or Uber can be difficult. 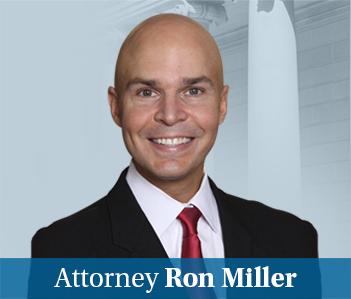 The personal injury attorneys at Miller & Zois have the knowledge and experience to help. Call us at 800-553-8082 or contact us online for a free consultation.